Did you know that there is not just one form of Breast Cancer? In fact, today, there are many different “subtypes” of Breast Cancer. These subtypes of Breast Cancer are generally diagnosed based upon the presence, or lack of, three “receptors” known to fuel most breast cancers: estrogen receptors, progesterone receptors and human epidermal growth factor receptor 2 (HER2). The most successful treatments for breast cancer target these receptors. Unfortunately, when it comes Triple Negative Breast Cancer, none of these receptors are found in women who are diagnosed. 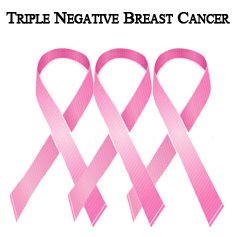 In other words, According to the Triple Negative Breast Cancer Foundation, a triple negative breast cancer diagnosis means that the offending tumor is estrogen receptor-negative, progesterone receptor-negative and HER2-negative, thus giving rise to the name “triple negative breast cancer.” On a positive note, this type of breast cancer is typically responsive to chemotherapy. Because of its triple negative status, however, triple negative tumors generally do not respond to receptor targeted treatments. Depending on the stage of its diagnosis, triple negative breast cancer can be particularly aggressive, and more likely to recur than other subtypes of breast cancer. Age, Race or Ethnicity: Several studies suggest that being pre- menopausal, African-American, Latina or Caribbean increases your risk of developing basal-like or triple-negative breast cancer. 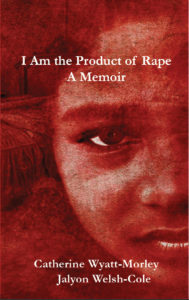 Among African-American women who develop breast cancer, there is an estimated 20 to 40 percent chance of the breast cancer being triple-negative. Researchers do not yet understand why premenopausal women and women in some ethnic groups have higher rates of triple- negative breast cancer than other groups of women. Researchers are still learning why some women are more likely than others to develop triple-negative breast cancer. Research supports a relationship between risk and your genes, age, race and ethnicity.